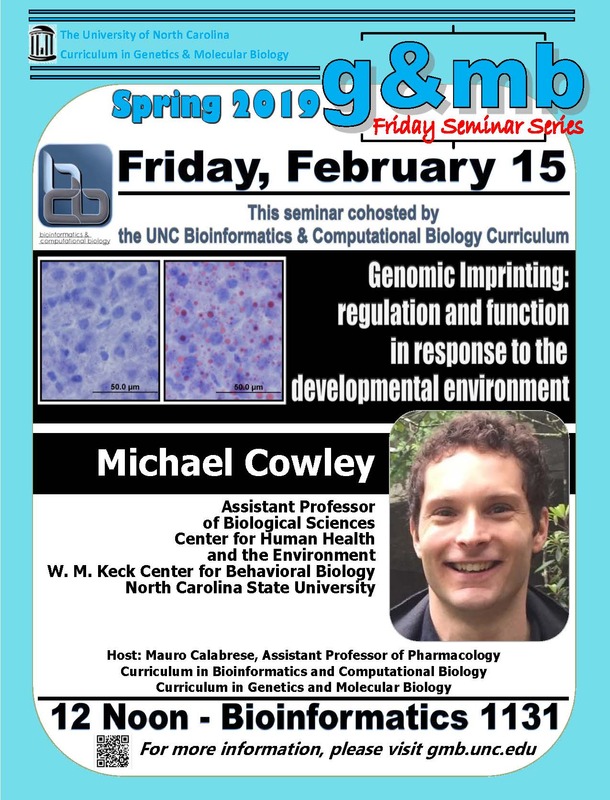 The GMB Friday Seminar Series welcomes Michael Cowley, Assistant Professor of Biological Sciences at North Carolina State University on Friday, February 15, 2019. Dr. Cowley’s talk title is “Genomic Imprinting: regulation and function in response to the developmental environment”. Mauro Calabrese, Assistant Professor of Pharmacology, hosts Dr. Cowley. 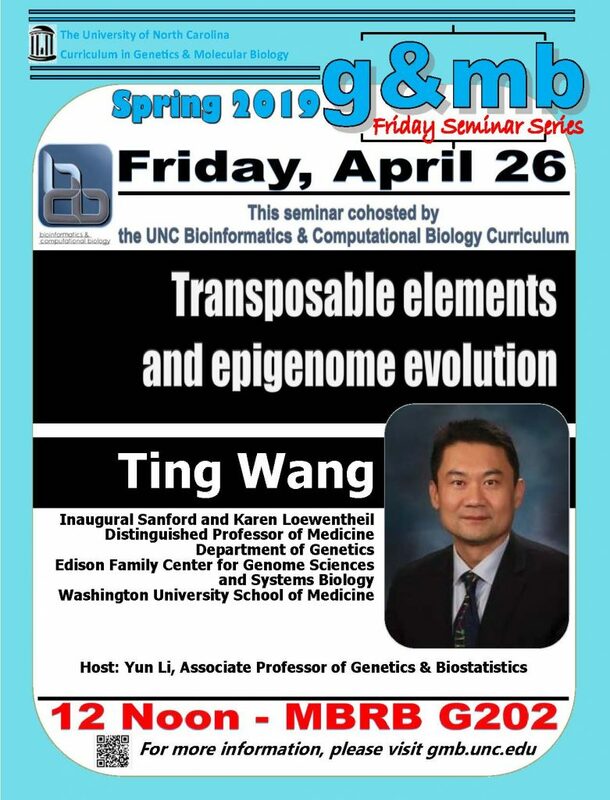 This talk is co-sponsored by the UNC Bioinformatics and Computational Biology Curriculum. 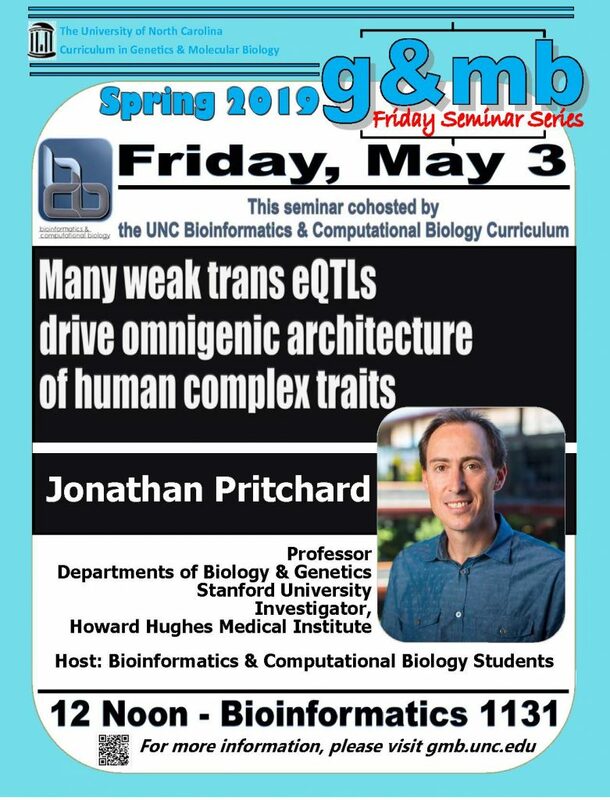 This talk is in UNC’s Bioinformatics Building in room 1131.